When thinking of February, besides hearts we usually think of the color Red and the Go Red Campaign for Heart Health. 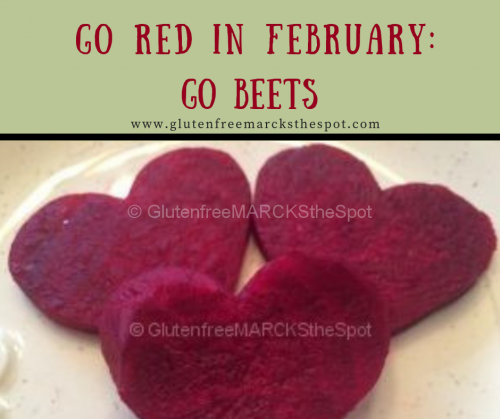 I say Go Red and Go Beets! 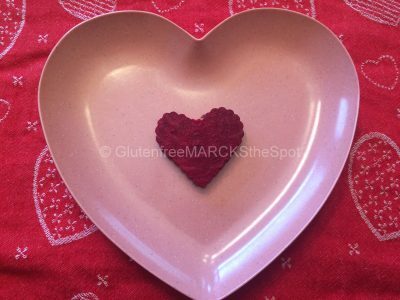 Did you know that beets are great for your heart health? 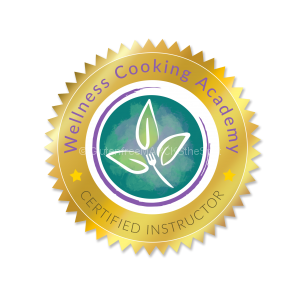 They reduce inflammation, benefit your cholesterol levels, and serve to detoxify your blood of toxins and heavy metals. Who doesn’t need that in today’s society? 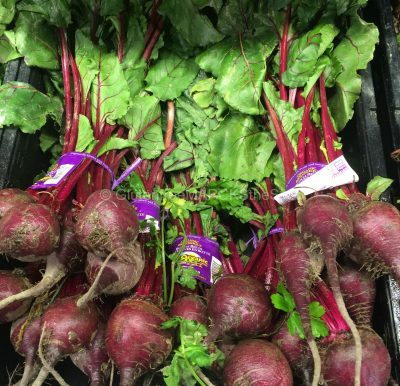 Fresh beets offer our bodies a tremendous amount of health – such as fiber, manganese, folate, potassium, copper, magnesium, iron, B and C vitamins, and even some protein. Besides supporting heart health, they protect your digestive, brain and eye health. Of course, the fiber helps to move everything along. They have a lot to offer in a little package. Beets, unlike milk, do a body good! Preparing them yourself, fresh from the market, is a delicious addition to any plate. Definitely a veggie to return to if you haven’t had them in a while. You will not be disappointed. Beets are so often overlooked. 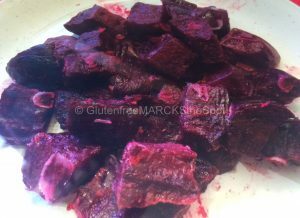 In the past I wasn’t too fond of them – canned beets -Ugh! Today, is quite a different story. Now, I cannot get enough of these little red gems. Roasting is my favorite as it really develops their flavor. 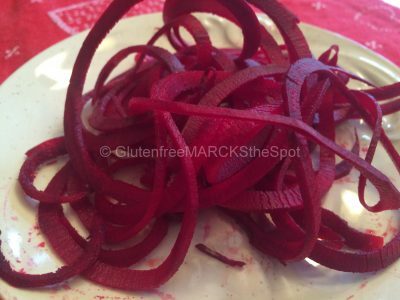 Spiralize beets to eat raw in salads, or add to meals. 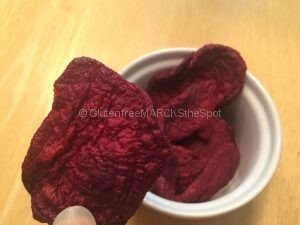 Dehydrate them to make beet chips. Preparing beets can be pretty messy. But, you can control it. To roast simply wash them and bake covered in tin foil. Then take off the skin once they are cooked – still messy so do this over the sink. Or, you can peel and chop the beets into chunks, toss with olive oil or coconut oil and roast. Of course here, you can get stained hands pretty quickly. Use plastic gloves, or even a sandwich bag over your hands (be careful as they can slip!) as you peel and chop. Roast at 350 for about 30-45 minutes. They are much sweeter roasted than raw, where they retain their very earthy flavor. Preparing beets is one way to really freak out your family. I was cutting beets the other day when Craig walked into the kitchen and stopped dead in his tracks. I was holding a large knife, cutting with red all over my hands and board! The look on his face until he realized what I was doing – HA! He thought I was covered in blood! Ok- maybe not so funny. 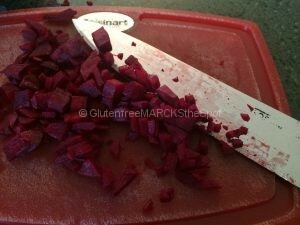 Of course I always make sure my kids know I am cutting a beet when they see red all over my hands while chopping, just beet juice! You never a need to scare your kids! 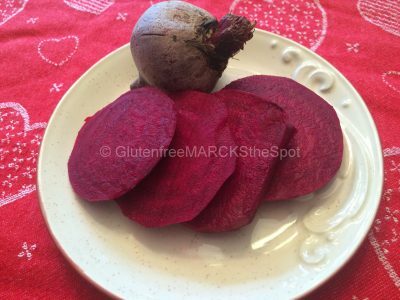 I have gotten into the habit of roasting beets to keep in the fridge. Then when I need a little snack, I pop a little sea salt on top and enjoy a few pieces. Tasty and filling, and a very healthy snack. delivered right to your in-box! 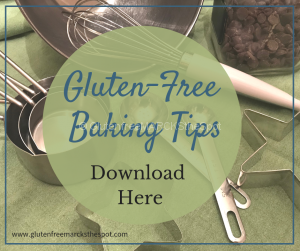 **Sign Up Today and get 5 Free Gluten-Free Recipes! 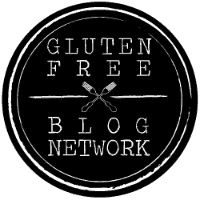 This entry was posted in Gluten Free Living, Recipes and tagged cooking gluten-free beets, gluten-free beet snacks, gluten-free beets dinner, go red go beets. Bookmark the permalink.